The cabinet has been criticized for its lack of diversity. The minister overseeing francophone affairs in Manitoba has a challenging job ahead, especially since she doesn't speak French. 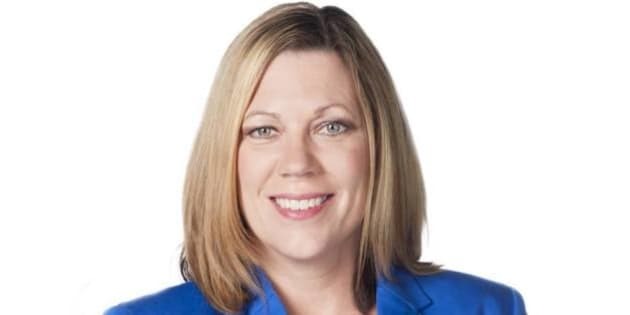 Rochelle Squires, a former journalist representing Winnipeg's Riel district, told The Canadian Press that despite her lack of French fluency, the francophone community has a "strong advocate." "I have a steep learning curve," the recently elected MLA told The Winnipeg Free Press on Tuesday. Squires' unilingualism is a concern, according to Manitoban Paul Ndambwe, who told CBC News that not being able to speak French makes a "big difference" in connecting with constituents. "I believe if you understand the French speakers, you have to speak the language," he said. "You can't represent somebody [when] you don't even know the language." This wasn't the only criticism lobbed at Progressive Conservative Premier Brian Pallister's cabinet , sworn in Tuesday. NDP MLA Andrew Swan told the Free Press there are no visible minorities or indigenous MLAs among the premier's picks. "It is not a group anyone would say is diverse, not ethnically or geographically," he said. The 12-member cabinet is smaller than that of former NDP premier Greg Selinger. Some ministerial titles have been discarded or combined with others. Opposition NDP and the Liberals both said the loss of separate departments for labour, aboriginal affairs and other matters are among some worrisome changes. "Things which I believe are important to Manitobans may not be given the same priority,'' Swan said.